Putting away Christmas decorations is not nearly as fun as putting them out on display. It’s always a little sad to say goodbye to all the sparkle. But at the same time, it feels good to free up some real estate in your house for other things. When you have as much holiday decor as I do, you can’t put it all away in a day. It takes a week, maybe, if I pack carefully and put things away in a neat and organized fashion. This, my friends, is the trick to making your life easier next November or December, when you pull it all out again. When it comes to Christmas storage, I have a few secret weapons. I can’t stress this enough. 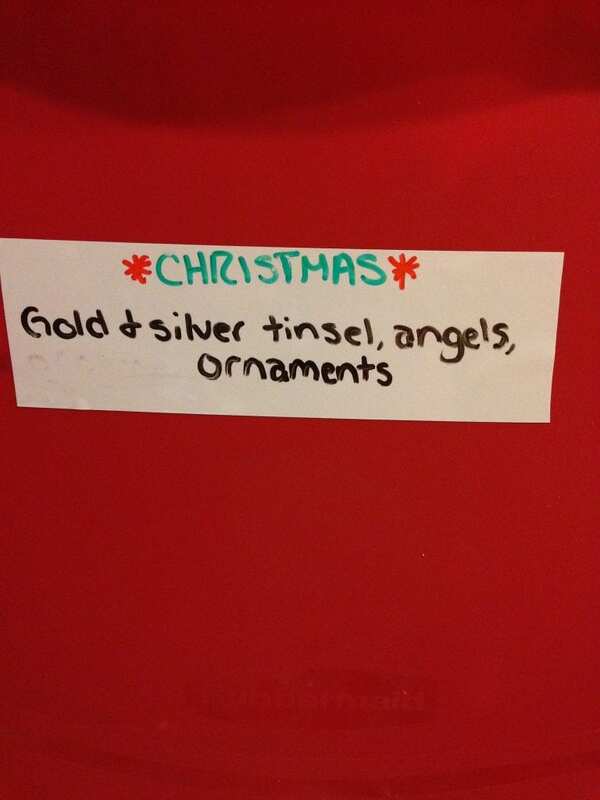 Don’t just write “Christmas” on the label. I like to write things like “angels,” “jewel tones,” “silver tinsel trees,” and “felt ornaments.” You never know when the urge to decorate a Fourth of July tree will strike, and you will want to know exactly where your red tinsel is. If you have a label machine you can save a little time, but I find that tape and a pen work just as well. This year, I’m trying dry-erase tape, so I can edit next year as needed. I store everything for all my holidays in big color-coded tubs. If the tub is not color coded, then it’s clear, so that I can see inside. I keep it simple and easy: for Valentine’s Day, orange and black for Halloween, blue for Easter, and red and green for Christmas. 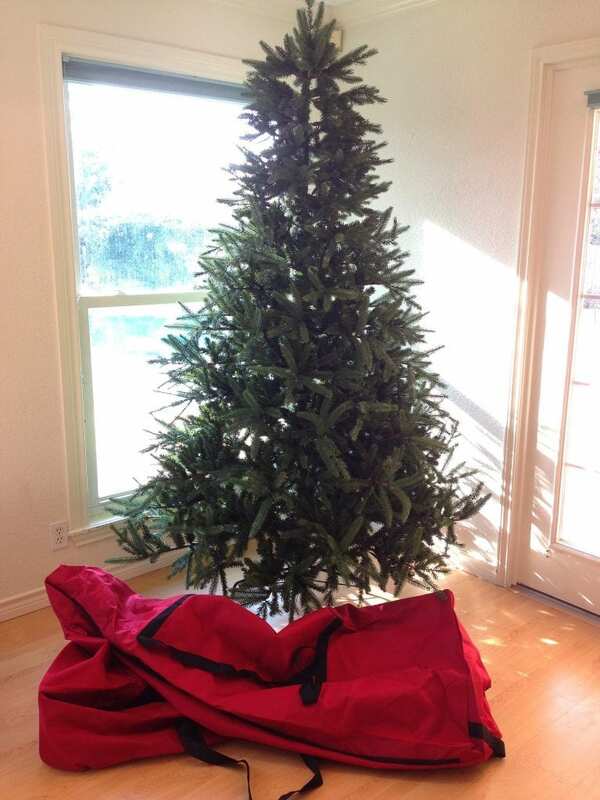 Keep your trees from getting dusty in the attic! These handy-dandy bags from Treetopia come in a myriad of different sizes and styles. I found options that will roll your tree up tight, and others that will to keep your tree upright and fully assembled all year. 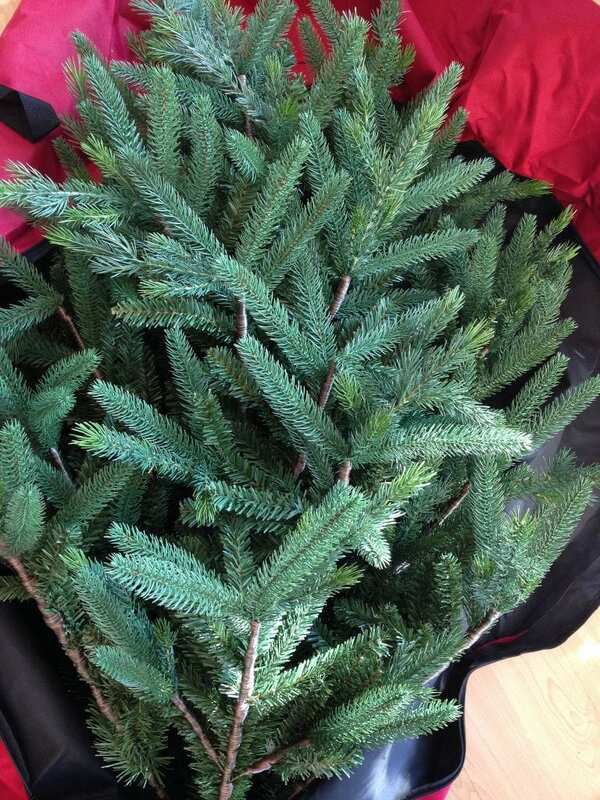 Another option is to keep the box your tree came in for storage. These babies are great for lights, small nativity sets, or various groupings. I always go with the ones labeled “freezer bags,” as their zippers are typically stronger. They’re a great tool to keep each strand of lights separate, so they don’t become a tangled mess over the next 11 months. Once everything is bagged, pop them in the appropriate tub and store ’em. 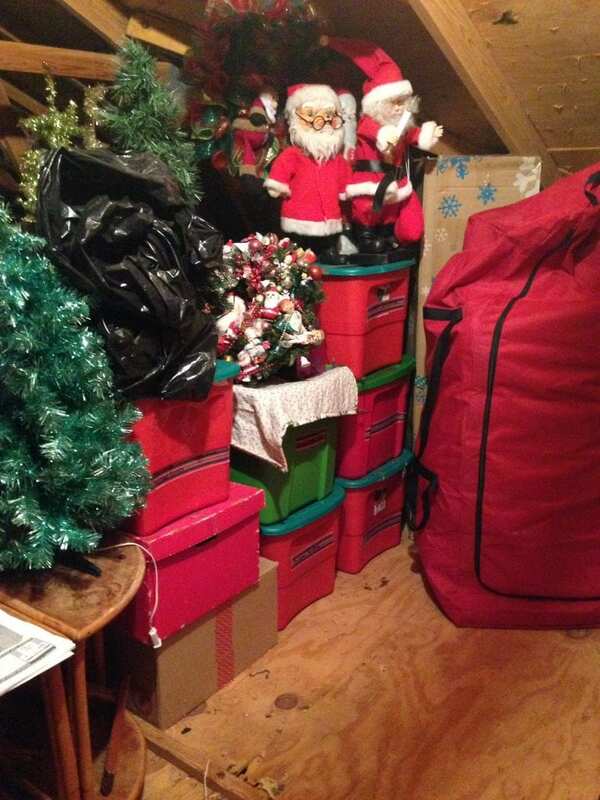 I am a holiday decorating junkie (in case you hadn’t guessed by now), so it is important that I keep my attic somewhat organized. Everything is in its own little section: Christmas is to the left, and Halloween is on the right. The people who owned my house before I did even went so far as to label different spots in the attic itself, to remember where things go. 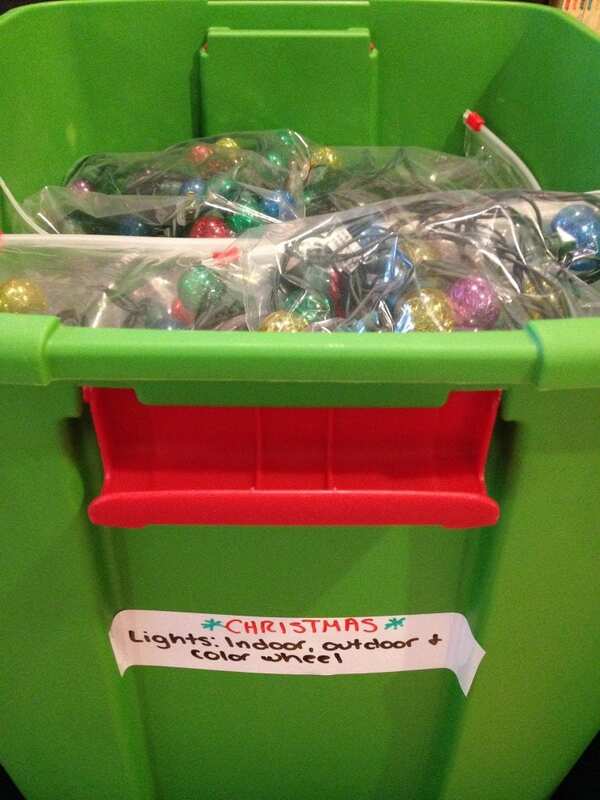 What are your secrets to holiday storage success? 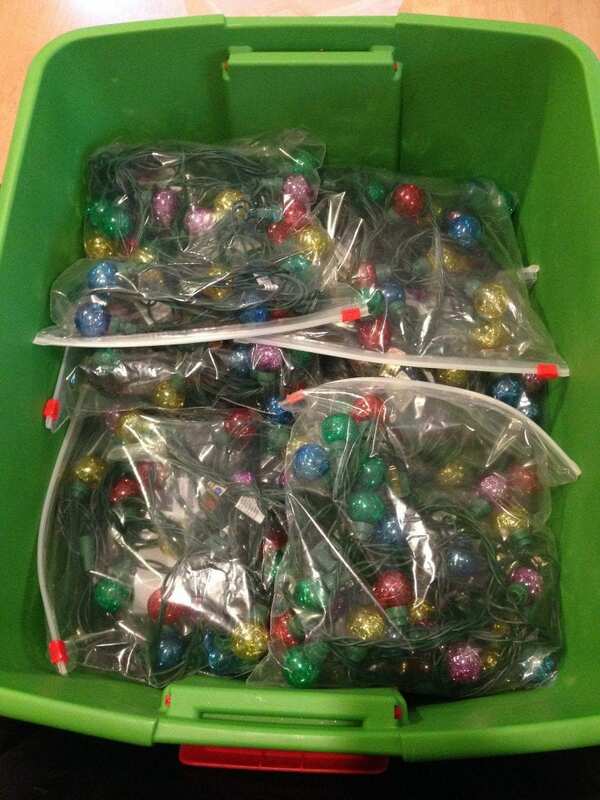 Do you swear by egg cartons for ornaments, and keep your wreaths in cases? I’m always looking for more tips and tricks to add to my arsenal. Posted January 12, 2015 & filed under Christmas, Holidays. I am right there with you on the hoarder comment. I like to decorate and it is a task to store and find again when you need something. Thank you for sharing these great tips on You’re the Star. Merriest of holidays. Great tips here! Unfortunately we don’t have a basement or attic here in Australia, so things have to go out in the shed! Happy New Year 2019! Great ideas! You were one of my features at Best of the Weekend this week. Be sure to stop by and see the others or link up some new posts. Thanks for joining us and Happy New Year! I accumulated too many ornaments over the years. I gave both my grown sons their own ornaments I bought for them each year which cleared out some of my ornaments. This year I will go through all the rest and donate those that I never use anymore and that have no sentimental value. Down-sizing is good! Have you been watching the Marie Kondo show on Netflix? You will suddenly want to edit EVERYTHING – not just ornaments.